In your real life at home, if you are a coffee lover, chances are you have a couple of coffee shops that are your go-to places for the type of coffee you love. You need to have a back-up in case your first choice is too busy, closes early, or burns down in a tragic fire! Good coffee is almost a religious experience to java fans, and more than likely you are worried that your trip to Bend will come up lacking in the coffee department. When you think about it, however, your fears are completely invalid, as Bend is only about a 6-hour drive from the birthplace of one of the world’s most famous coffee shops, and our proximity has taught us a few things about brewing the perfect cup of joe. Thump Coffee is just one of many shops in the area that knows how to do it right. Give them a chance, will you? True coffee fans know that chain shops may have the secret to a good brew, but they don’t always have the heart, and Thump is here to prove the point as one of the area’s favorite Bend coffee shops. This independent coffee shop is famous for it’s funky vibe, friendly staff, and their desire to offer each and every guest the coffee of their dreams. The ambience is simple and designed not to clash with the coffee. Wood tables, metal bar stools, and stained concrete floors let guests know that they put all their efforts into the beans you can smell from the street. The café tables placed on the cobblestone sidewalk outside the shop allow patrons to enjoy their treats while watching the people of Bend go about their business on sunny days. The selection of sweet treats and pastries found at Thump Coffee will please even the pickiest eaters. Don’t be afraid to ask which coffee goes best with that giant bear claw, even if the answer is ALL OF THEM! There are no stupid questions in Thump, only happy, satisfied, and well-caffeinated guests! The pastry menu changes daily, but scones, muffins, and bagels can always be found in the glass display cabinet. Because you never know when the urge for coffee will hit, Thump Coffee sells beans to be enjoyed at home—including in your Bend Vacation Rentals cozy vacation cabin! Wake up each morning to the smell of coffee brewing in your fully equipped kitchen and enjoy a cup al fresco. 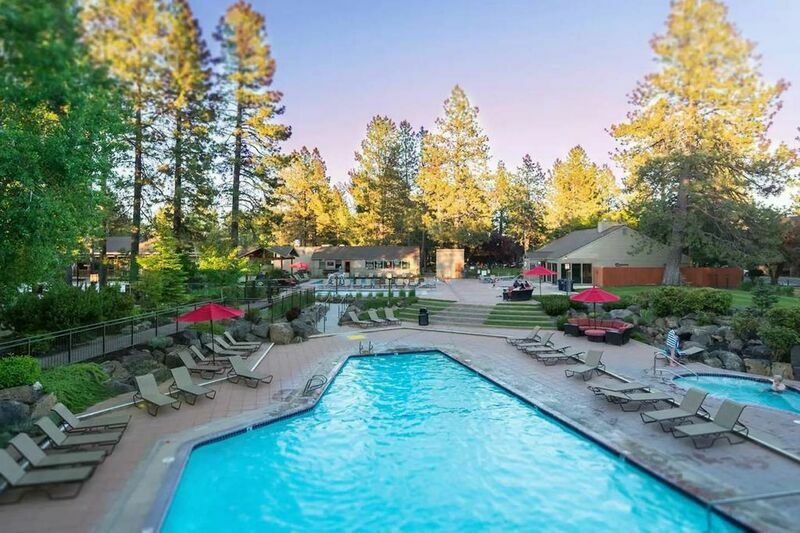 Mornings in Bend are glorious and are best enjoyed with a cup of java in hand from one of our favorite Bend coffee shops—contact us to reserve your stay today!